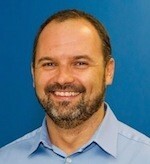 Biography: Oge Marques (http://faculty.eng.fau.edu/omarques/) is Professor of Computer and Electrical Engineering and Computer Science at Florida Atlantic University (FAU) (Boca Raton, Florida). He received his Ph.D. in Computer Engineering from Florida Atlantic University in 2001, his Masters in Electronics Engineering from Philips International Institute (Eindhoven, NL) in 1989 and his Bachelor’s Degree in Electrical Engineering from Universidade Tecnologica Federal do Parana (UTFPR) (Curitiba, Brazil), where he also taught for more than 10 years before moving to the USA. He has more than 25 years of teaching and research experience in the fields of image processing and computer vision, in different countries (USA, Austria, Brazil, Netherlands, Spain, France, and India), languages (English, Portuguese, Spanish), and capacities. Recent teaching awards include the FAU Excellence and Innovation in Undergraduate Teaching Award (received both in 2004 and 2011) and the Outstanding Mid-Career Teaching Award, presented by the American Society for Engineering Education - Southeastern Section (ASEE-SE) (2011). His research interests are in the area of intelligent processing of visual information, which combines the fields of image processing, computer vision, image retrieval, machine learning, serious games, and human visual perception. He is particularly interested in the combination of human computation and machine learning techniques to solve computer vision problems. He is the (co-) author of two patents, more than 50 refereed journal and conference papers, and several books in these topics, including the textbook Practical Image and Video Processing Using MATLAB (Wiley-IEEE Press, 2011) (http://www.ogemarques.com/), which has been adopted by more than 20 universities in more than a dozen different countries and has also been translated to Chinese. He has numerous international collaborations and appointments, including: Visiting Professor at Alpen-Adria Universitat Klagenfurt, Austria (since 2008), Visiting Professor at ENSEEIHT Engineering School, University of Toulouse, France (since 2010), Visiting Professor at UTFPR, Curitiba-PR, Brazil (since 2003), and collaborative projects and publications with Universitat Politecnica de Catalunya (UPC), Barcelona, Spain (since 2012) and Universidade Federal de Goias (UFG), Goiania, Brazil (since 2010). 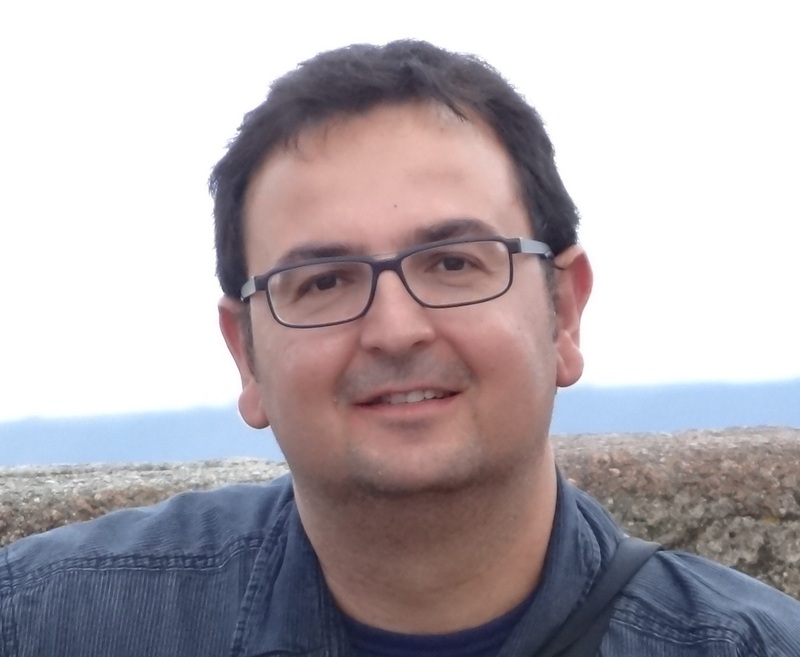 He was one of the co-chairs for the Doctoral Symposium of the ACM International Conference on Multimedia 2014 (Orlando, FL, November 2014), the organizer and co-chair of a special track on Image and Video Databases for the ACM SAC 2003 (Melbourne, FL, March 2003), and has served as reviewer and Program Committee member for several ACM conferences and workshops. 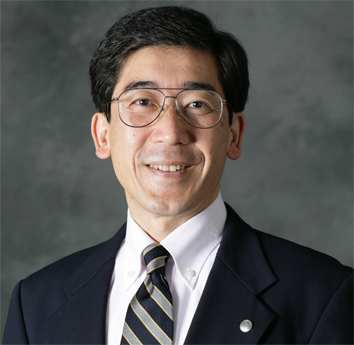 He is a senior member of both the ACM and IEEE. He is also a member of the American Society for Engineering Education (ASEE), and the honor societies of Tau Beta Pi, Sigma Xi, Phi Kappa Phi, and Upsilon Pi Epsilon. Talk description: Visual information retrieval (VIR) is an active and vibrant research area, which attempts at providing means for organizing, indexing, annotating, and retrieving visual information (images and videos) from large, unstructured repositories. The goal of VIR is to retrieve matches ranked by their relevance to a given query, which is often expressed as an example image and/or a series of keywords. During its early years (1995-2000), the research efforts were dominated by content-based approaches contributed primarily by the image and video processing community. During the past decade, it was widely recognized that the challenges imposed by the lack of coincidence between an image's visual contents and its semantic interpretation, also known as semantic gap, required a clever use of textual metadata (in addition to information extracted from the image's pixel contents) to make image and video retrieval solutions efficient and effective. The need to bridge (or at least narrow) the semantic gap has been one of the driving forces behind current VIR research. Additionally, other related research problems and market opportunities have started to emerge, offering a broad range of exciting problems for computer scientists and engineers to work on. In this lecture, we pay special attention to the field of content-based image retrieval (CBIR) and highlight the most relevant advances, pending challenges, and promising opportunities in CBIR and related areas. Hideyuki Takagi received the degrees of Bachelor and Master from Kyushu Institute of Design in 1979 and 1981, and the degree of Doctor of Engineering from Toyohashi University of Technology in 1991.He was a researcher at Panasonic Central Research labs in 1981 - 1995 and a visiting researcher at UC Berkeley in 1991-1993 hosted by Prof. L. A. Zadeh. He moved to Kyushu Institute of Design as an Associate Professor in 1995 and is now a Professor of Kyushu University. First, we introduce two approaches for accelerating evolutionary computation (EC). The first approach is to use frequency information of a fitness landscape. Assume a fitness landscape as sound or image signal. Then, you may think whether its frequency information can be used for EC search. This first acceleration approach is a method to approximate a fitness landscape using a sine curve obtained from its frequency domain and estimate rough area of the global optimum. The second acceleration approach is to estimate the global optima using the moving trajectories of individuals analytically. EC is a method to approach to the global optimum iteratively. This proposed method estimates the convergence point of individuals mathematically. These two acceleration approaches are still in the early research stage and must face several difficulties until they become completed methods. However, their viewpoints are unique and informative for future research. Secondly, we introduce a new research direction of interactive EC (IEC). IEC is a method optimize a target system based on human evaluations. Then, we may analyze the human evaluation characteristics indirectly by analyzing the target system optimized by the human. It is somehow similar to reverse engineering. We introduce some such challengeable approaches including analyzing human mental scale, finding unknown facts, and modeling human awareness mechanism. Talk description: While mobile traffic is growing,the need for more sophisticated broadband services is going to push the limit on current standards to provide integration between wireless technologies and higher speeds. Thus,a new generation of mobile communications, the fifth generation (5G) becomes necessity. Future 5G wireless networks will be a combination of different enabling technologies,,while the biggest challenge will be to make them all working together.In spite of the fact that the standardization of 5G specification in standards bodies such as the Third Generation Partnership Project (3GPP), and the ratification of 5G standards by the International Telecommunication Union (ITU) are still several years away, many share the vision of targeting 2020 for the initial commercialization of 5G cellular with drastically enhanced user experiences in several aspects including Gbps data rate support. There are key enabling technologies for 5G that will make much more diversified requirements than the previous generations. For example,in contrast to 4G networks, 5G network should achieve 1000 times the system capacity, 10 times the spectral efficiency, higher data rates (i.e., 10Gb/s for call center users and 5Gb/s for cell edge users), 25 times the average cell throughput, 5 times reduction in end-to-end latency and support 100 times more connected devices with 10 times larger battery life for-low power devices. In this talk, the concept of the road to 5G with heterogeneous network (HetNet) architecture will be pointed out. Macro and small cells may be connected to each other resulting in different levels of coordination across the network for mobility and interference management. The second part deals with mobility for 5G network. The emphasis will be on IP mobility management which is based on centralized data path. The third part provides main drivers in the research for 5G application. New traffic types and data services are emerging, especially machine-to- machine communication to support concepts such as the smart grid, smart homes and cities, as well as e-health. Internet of Things (IoT), Gigabit wireless connectivity and Tacktile Internet should be mentioned , too. These applications have very diverse communication requirements. Finally, standard activities conclude the talk. Talk description: 5G has been defined as an end-to-end ecosystem with the main intention of enabling a full mobile and connected society. This definition is imposing a high number of challenges in, at least, these three planes: radio, network, and operations and management. This talk will be considering this last part and describing how a self-management perspective can fit into the control plane of 5G networks. When considering self-management, we refer to self-configuring, self-healing, self-optimising, and self-protecting all of then related to both the network and the services being provided on top of this network. The SELFNET EU project, which will be presented in details during this talk and which is part of the 5G-PPP EU initiative, is considering as running use cases the last three ones, as well as a composed and coordinated use case integrating all of them. Biography: Sridhar (Sri) Krishnan received the B.E. degree in Electronics and Communication Engineering from Anna University, Madras, India, in 1993, and the M.S. and Ph.D. degrees in Electrical and Computer Engineering from the University of Calgary, Calgary, Alberta, Canada, in 1996 and 1999 respectively. He joined Ryerson University, Toronto, Canada in 1999 and since October 2007 he has been appointed as a Canada Research Chair in Biomedical Signal Analysis. Sri Krishnan has published 260 papers in refereed journals and conferences, and five of his papers have won best paper awards. He is a Fellow of the Canadian Academy of Engineering, Senior Member of IEEE and a member of the Professional Engineers of Ontario. 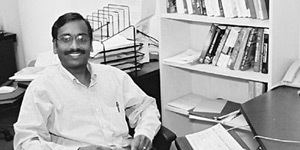 Sri Krishnan is a recipient of many national and provincial awards including the 2013 Achievement in Innovation Award from Innovate Calgary, 2011 Sarwan Sahota Distinguished Scholar Award, 208 Biodiscovery Award, 2007 Engineer Achievement Award from Engineers Canada; 2006 South Asian Community Achiever Award; 2006 New Pioneers Award in Science and Technology; 2006 Best IEEE Chapter Chair Award (Toronto Section); and 2005 Research Excellence Award from the Faculty of Engineering, Ryerson University. More information at: www.ee.ryerson.ca/~krishnan. Talk description: Most of the real world signals possess non-stationary and non-linear characteristics. Information processing and feature extraction from these signals is a challenging task. This talk will focus on four generations of signal processing algorithms developed for analysis and interpretation of signals. Recent advances in using sparse signal representation and compressive sensing of long-term signals will also be covered. The application of the extraction and classification of features from audio and speech signals, and biomedical signals (cardiac electrograms, pathological speech signals and gait rhythms) will be discussed in detail. 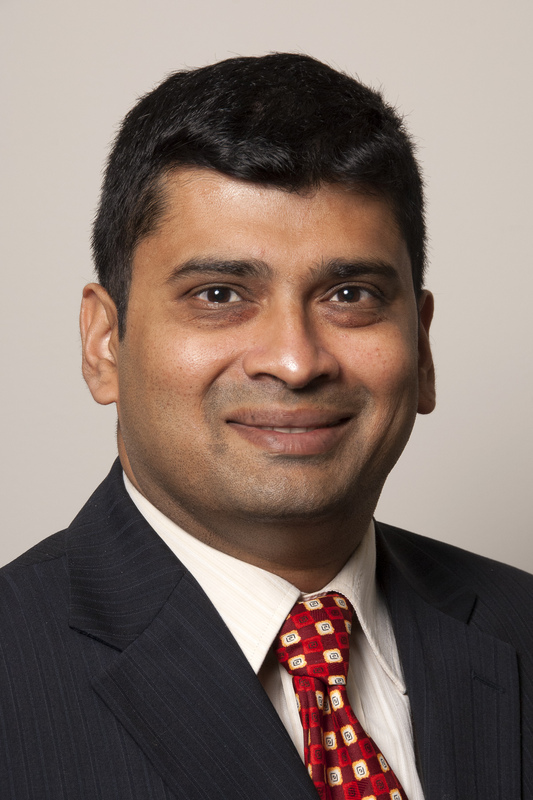 Biography: Sameep Mehta is a Senior Researcher and Manager at IBM Research - India. He received his Ph.D. in Data Mining and Visualization from The Ohio State University. His current research interests are Data Mining, Text Mining, Machine Learning, Big Data Technologies, Social Data Analytics and Knowledge Graph. He has published extensively in top conferences in Data Mining, Services and Visualization. He is a regular speaker at conferences and served PC chair for Big Data Analytics Conference 2014. He also serves as Adjunct Faculty at IIIT-Delhi in the area of Data Analytics and regularly mentors Ph.D. and MS students at IIIT, IITs and University of Delhi. He can be reached at sameepmehta@in.ibm.com . Talk description: Computer architecture is undergoing a revolutionary change, and in the future nearly all computers are expected to be “multicore”. As the multicore processors are becoming the norm, concurrent programming is expected to emerge as the mainstream software development approach. This new trend poses several challenges including performance, power management, system utilization, and fair and predictable response. Such a demand is hard to meet without the cooperation from hardware, compilers, operating system, and applications. Particularly, an efficient scheduling of shared resources to the application threads is fundamentally important in assuring the above mentioned system performance. Among the problems, scheduling of cores to threads (scheduling) and coordinating threads in accessing shared resources (synchronization) are most important. In this talk, after briefly reviewing the state of the art, I will discuss some of our work relevant to multicore scheduling and synchronization. Biography: Dr. Amarjeet Singh received his Ph.D. in Electrical Engineering at University of California, Los Angeles (UCLA) in 2009. As part of his Ph.D. thesis work, he developed mobile sensing systems for environmental monitoring. He was part of multiple real world deployments in collaboration with application scientists such as Biologists and Ecologists for critical applications such as monitoring pollution content in rivers and lakes. Amarjeet joined as Asst. Professor at IIIT Delhi in 2009. At IIIT Delhi, he has led multiple efforts in both energy and healthcare that involve data collection through sensors and other information systems along with developing suitable analytics that helped improve the overall operations. He has recently co-founded a startup called Zenatix (www.zenatix.com) that helps large consumers of energy identify inefficient operations and work towards reducing the energy bill significantly. Notable customers of Zenatix include office spaces for Google, NIIT and Tata Docomo. He has led several project grants worth crores and actively engages with the industry through multiple research and consulting projects. He did his B.Tech. from IIT Delhi in 2002 and MS from UCLA in 2007. He was awarded Outstanding MS student in UCLA School of Engineering in 2007 and Chorafas Foundation Award for research with long term impact. Talk description: Electrical consumption, for both residential and industrial consumers, is currently provided through monthly bills that give little insights into our consumption patterns. This data if collected at a higher resolution - say every minute, can provide deep insights into our personal lives such as what time we wake up in the morning, what time we go to bed and how long do we watch television every day, among others. In addition, big data generated from such high resolution consumption pattern can be used to automatically dis-aggregate home level energy consumption into appliance level energy consumption without monitoring these appliances individually. In this talk, I will use real datasets collected by our group (and other publicly available datasets) to discuss deep learning opportunities possible with high resolution electrical consumption data. I will further talk about recent work in advanced analytics possible by combining this electrical consumption data with data from mobile phone sensors to provide personalized energy consumption feedback.